I stated in yesterday’s post – and many times before – that there will be dips in the price of Bitcoin. I also stated that this is normal because of the high volatility of the cryptocurrency marketplace. Further, I stated that one must be patient and disciplined and not be phased by these changes. ZCash has not hit an all-time high but is doing OK.
Let’s talk about Bitcoin and why I believe it will reach staggering highs before the end of the year and thereafter. I believe the reason why Bitcoin is soaring in value at present is because of an expected futures launch in mid-December. Like the 110 meter hurdles in an Olympic race, some investors left the starting blocks pushing out from them before the start of the gun. The others are waiting for the gun to be fired in mid-December. Many have not come to appreciate the gravity of this huge news. More and more hedge funds will be able to invest in Bitcoin. When that happens, the value of Bitcoin will increase significantly. 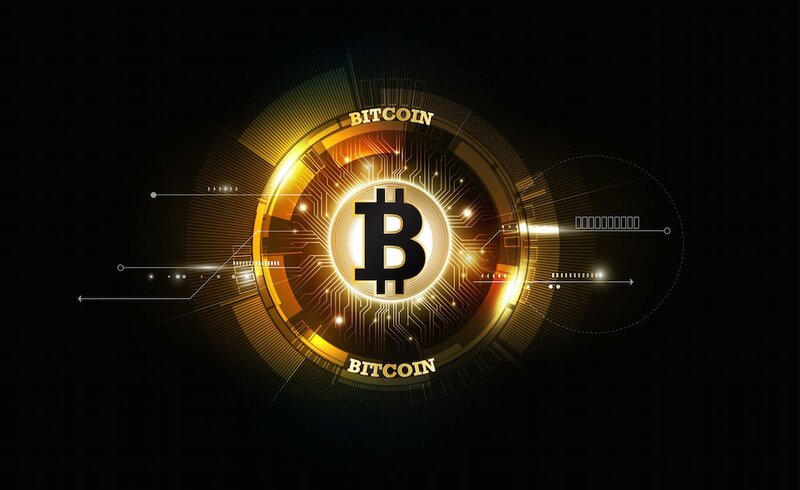 I also believe another reason why the value of Bitcoin is on a steady rise is because of the attention it and “cryptocurrencies” have been receiving in the news media. I have spoken to a lot of people about cryptocurrency and most have absolutely no knowledge about it. They never heard of Ethereum or Litecoin. Few have heard the expression Bitcoin but are not sure what it is. Now, imagine all of those people awakening to the knowledge of cryptocurrency and Bitcoin. There will be a torrential rain of them pouring into investing in Bitcoin and cryptocurrency in general. The ball is rolling and Bitcoin will be the first to benefit from all this massive influx of capital about to take place. In their big conference in Cancun, Mexico back in October of this year (an event I had planned on attending), Ethereum developers revealed upcoming advancements for their platform. Then on November 16 of this year, a Bloomberg report said that Ethereum would get its own derivatives market in 2018. Well, when that happens, it will create an influx of institutional money into Ethereum.The exact same thing the Bitcoin futures will do for Bitcoin! In a one-year time span, Ethereum is up 4,000%! You can’t beat that! Of course, Ethereum serves a different need than Bitcoin with its ability to create Smart Contracts. This will affect every major industry from finance to real estate to law. Litecoin is related to Bitcoin, codewise. Litecoin has the ability to swap one cryptocurrency for another. This is not an easy task since each cryptocurrency has its own Blockchain code. The easier it is to swap currencies, the more transactions you will have. This is what will make Litecoin more valuable in the days, months, and years ahead. The cancellation of the Bitcoin fork (SegWit2x) is what caused Litecoin to increase in value. Litecoin is a fork-spoiler as far as I am concerned. One does not hear much about ZCash. But it is going to be a major player within the cryptocurrency space for one reason, it solves the issue of privacy. ZCash has one of the best development teams in the crypto space. They regularly update the technology and making deals with institutions and other cryptocurrencies. They are methodical and smart in their approach. I personally find that attractive. For example, they partnered with JPMorgan to offer privacy features on JPMorgan’s Blockchain and integrated privacy issues into Ethereum. No, ZCash does not have the glamour of Bitcoin, Ethereum, or Litecoin, it is a solid hold in my portfolio because of the strength of their team and the need for privacy in cryptocurrencies. Those of you who know what wallets are (within the crypto space) know that there are many types of wallets. There are online wallets, desktop wallets, hardware wallets, and paper wallets. I have many wallets and a mixture thereof to store and secure my cryptocurrencies. One can have a wallet for each cryptocurrency they own. It can be very frustrating to manage them all. Well, along comes Ethos. Ethos will be the very first Universal Wallet that will securely hold all of your cryptocurrencies. Unlike, online wallets, you hold the “private” keys. You alone! Ethos will eliminate the need for hardware and desktop wallets! Not only that, Ethos will be a platform that will allow you to conduct research on all of the cryptocurrencies and view charts and histories very much like what we see on the Coin Market Capitalization website. The European Central Bank recently announced that it will no longer offer protection for covered deposits. Recently in Saudi Arabia, 1200 bank accounts worth up to $40 billion were frozen by the government due to a political shakeup. If I were a wealthy individual in any such country, I would move a percentage of my net worth into cryptocurrency because the government and banks can’t get to it. I would keep it offline in a secure hardware wallet. Again, my mantra is Patience and Discipline. We are in store for one hell of a ride. There will be resistance to Bitcoin and the other cryptocurrencies. The media and other voices will decry “Buy! Buy! Sell! Sell!” Don’t listen! If you need money, just take a portion off the top of your investments and transfer to your bank account. Leave the rest in your portfolio. Tighten your seatbelts! You are going to embark on a ride to the greatest wealth opportunity the world has ever seen. Next Article Who Uses/Accepts Bitcoin?